A Classic American runabout from the mid-1920s. This type of boat was mainly used as racing boats, but in some cases also as tenders, for those who had a larger yacht. 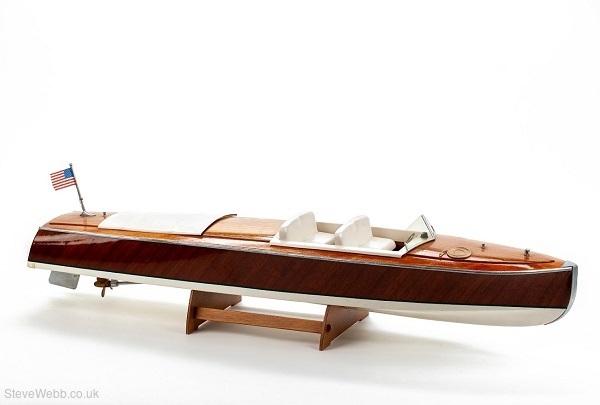 Racing boats from that time were built in beautiful classic materials such as teak and mahogany. If you had a 100-150 hp engine back then, you had one of the most powerful engines. 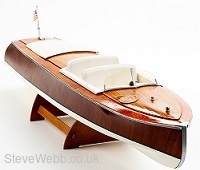 The model is based on a fast 34 foot tender. For the advanced beginner builder - this level is for those who have tried to build a model ship before, or perhaps one of plastic. These models also have a simple construction, though you will meet a number of 'challenges' on the way!